An international team of researchers, led by Queen’s University, has devised a high-precision method of examining magnetic fields in the Sun’s atmosphere, representing a significant leap forward in the investigation of solar flares and potentially catastrophic ‘space weather’. 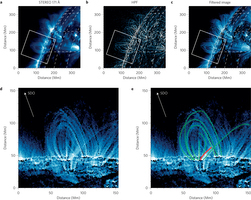 The technique pioneered by the Queen’s-led team, published today in the journal Nature Physics, will feed into the DKIST project, as well as allowing greater advance warning of potentially devastating space storms. 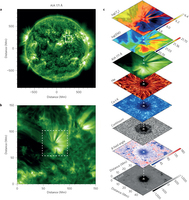 The new techniqueallows changes in the Sun’s magnetic fields, which drive the initiation of solar flares, to be monitored up to ten times faster than previous methods.